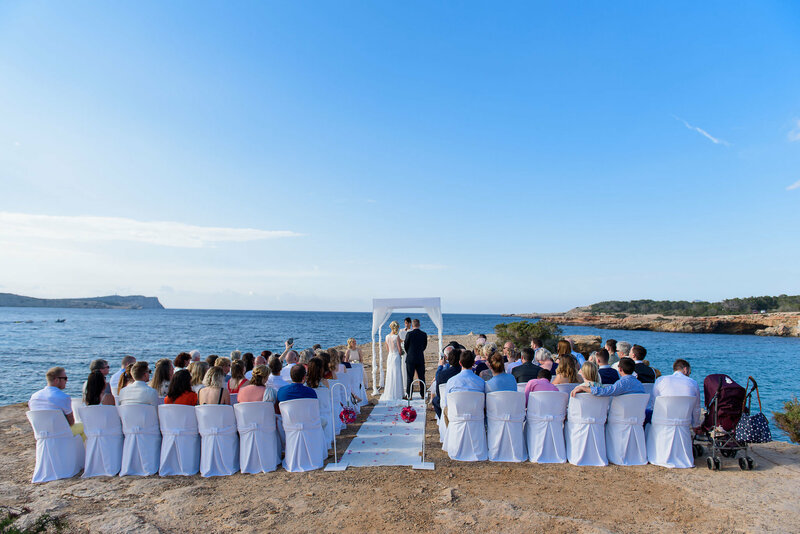 Known as the 'White Island' for it's powder white beaches and white washed buildings, Ibiza is the perfect destination for a romantic wedding blessing. 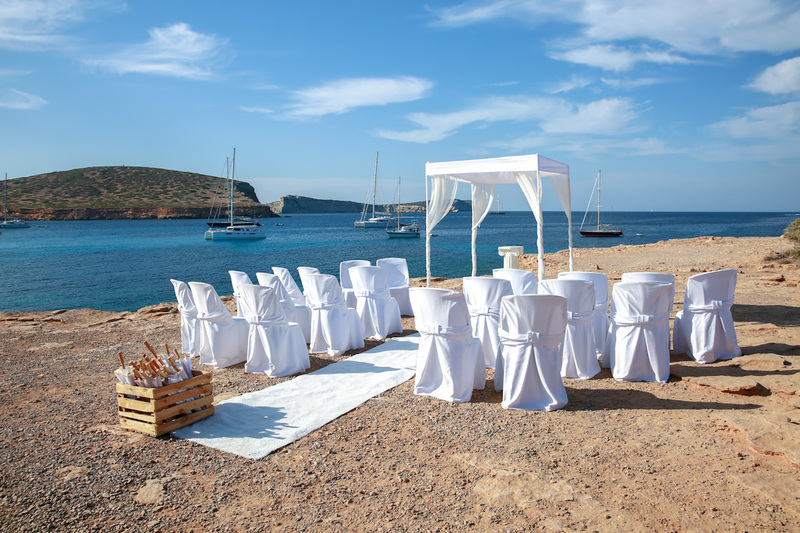 This beautiful beachside venue set in Cala Conta has unrivalled sunset views. It is perfectly located right next to the sea, on the rocks, with uninterrupted views out to the sunset. It is elegantly styled with decked wooden flooring and offers a chill-out ambience. This lovely venue has its own jetty next to it and we can arrange for guests to arrive by boat from San Antonio, approx 40 minutes to 1 hour cruise, prices on request. Price is based on 2019 weddings and is for the wedding couple only. Extra guest prices start from £40 per person. 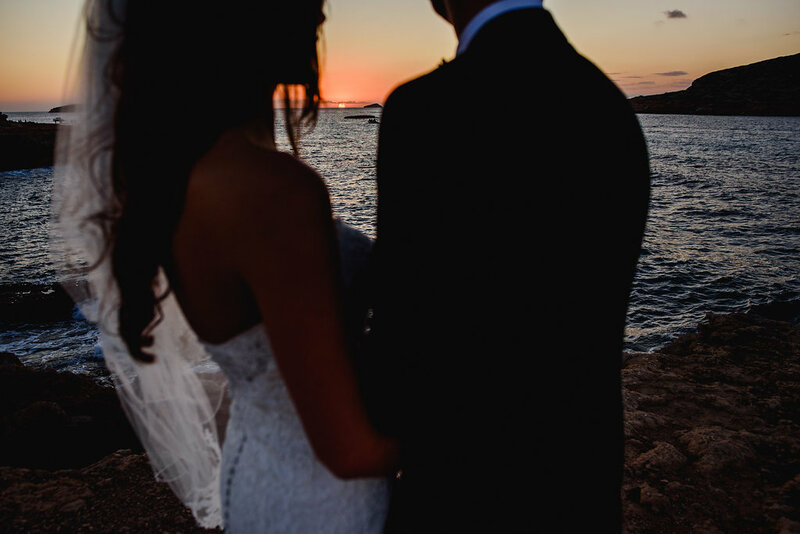 Extra Guest prices are subject to change and will be reconfirmed 3 months prior to your wedding day. Thank you for all your help with choosing our wedding location and getting it booked! The whole experience from start to finish was excellent. Special mention to Kayley for sending us all the proposals and for helping us in choosing beautiful Lanzarote. We had an absolute ball -it couldn't have been any more perfect. Thanks a million! Highly recommend! 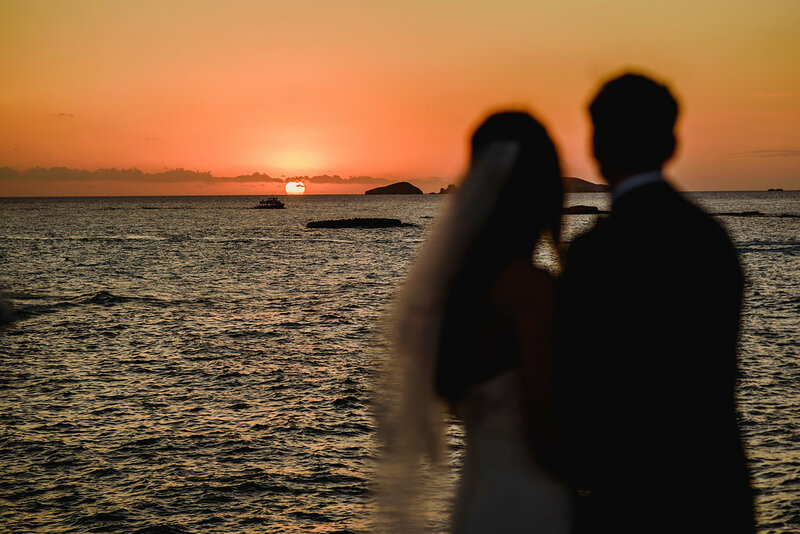 ​Please note that we are only able to offer Symbolic Weddings, Commitment Ceremonies and Renewal of Vows in Spanish destinations - we recommend that couples vist their local registry office in the UK to be legally married prior to departure. 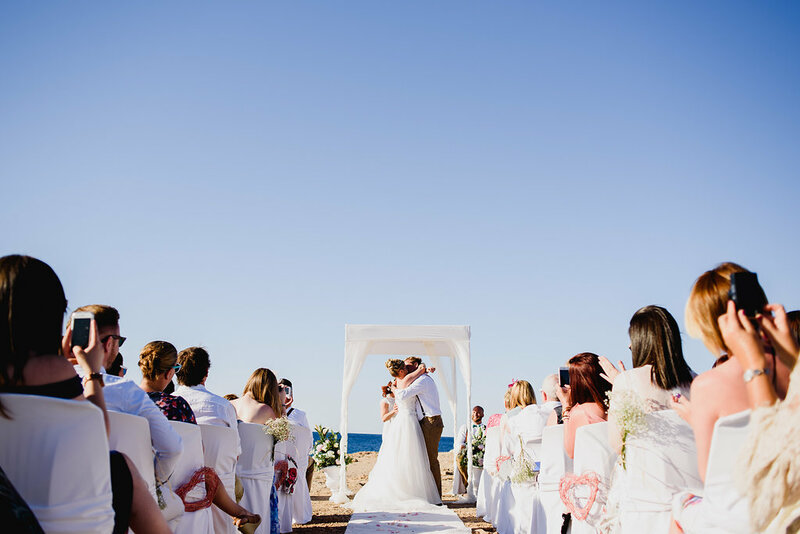 When travelling to your Spanish wedding you must take the above original documentation with you as scans or photocopies are not accepted by the local Celebrants.